Imagine two layers of fluffy chocolate cake with fresh milk cream filling sandwiched in between them. Sound tasty? 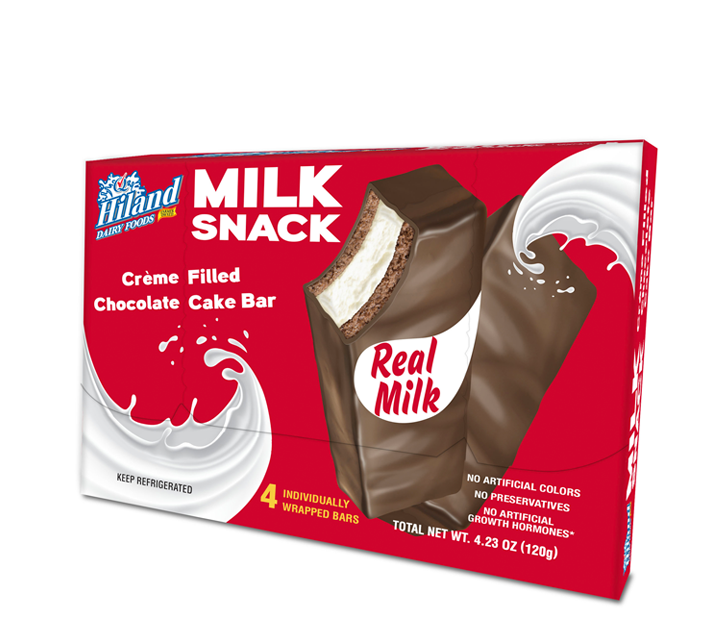 Try a Milk Snack from Hiland. A Milk Snack contains no preservatives, no artificial coloring and no hydrogenated fats. Which means your kids — and you — can indulge guilt-free.